Some form of tobacco use has been found in Australia since the 1700’s. Hand-rolled cigarettes and pipes remained common until the manufacturing process caught up with the interest in smoking. Machine rolled processes meant a cheaper product, but not necessarily always a better cigarette. Most people who prefer hand rolled have noted that the manufactured versions are quicker to burn, and give off more ash. Since 2008, when bans were placed on smoking in many public places, especially in larger cities such as Melbourne and Sydney, a new alternative arrived with the e-cigarette in Australia. With this version there’s no loss or waste of product due to a fast burn or ash, and it’s simpler to use in areas where tobacco use is limited. The world is in many ways passing the traditional cigarette by. It’s not just the higher excise paid, but there’s also the matter of more people packed into smaller. For many people finding a lonely spot where no one will be bothered by smoking is getting harder and harder. The smell of smoke on clothing and hair seems stronger when standing in a crowded elevator, or while out for the evening. For some in this situation the time has come for something that employs a different method of getting the taste of tobacco or other flavours with the kick of nicotine. The electronic cig was actually invented in the 1960’s, but didn’t come into favor until the manufactured cigarette became less than socially accepted. Through the 1970’s until the 1980’s most of the western world saw tobacco products including cigars used in restaurants, hotel rooms, and businesses. 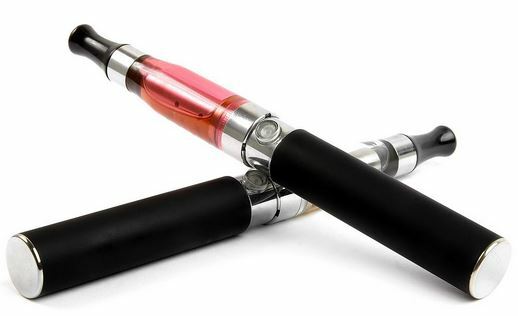 As complaints sent smokers out of almost any building others inhabited the prospect of being able to buy an e cigarette nicotine liquid became much more accepted in all over Australia. When a smoker makes the choice to buy quality electronic cigarette products he or she finds there’s more benefits than simply being able to quietly sneak an odourless, smokeless, nicotine break. When the selection is made to buy an e-liquid with nicotine, the smoker finds a more efficient method, and smoother taste. The smoky quality is in the flavouring of most e-liquids, but the taste is purer given there’s no real charring from the burning paper. The result is a surprise for the long-time smoker who’s often afraid of getting less of taste or a boost from electronic products. The vapour is easy to draw, and the heating coil doesn’t burn up the fluid as fast as with a traditional cigarette. It’s possible to use these devices for several minutes, and stop at will. There’s also no stub to put out, or find a place to throw away. Altogether most find this is a more relaxing experience, and few people can even detect the electronic version was recently used even in a closed room. While some might miss the old days of combustion cigarettes the reality of the electronic version can prove to have been the better option all along.